Find the absence of noise. Please go to "online programme" link at top of page. Visiting service worldwide. 077 8215 8008. Not sure whether this is for you? Have you tried lots of other therapies and nothing has worked for you? The reason I am so successful is that I am the only therapist offering daily support, and optional online webinars to get you feeling great again. Go to the "Online Programme" link at top of page and you can start right away. No catches, no contracts. Does your friend have panic attacks? If you are finding it hard to cope, or not sure what to do, then give me a call on 077 8215 8008 and I will give you the help you need. "The unique element of this technique is that you do not have to regress into your past to find out why you had your first panic attack, in order to get results. All that is required is your willingness to break out of this cycle of fear and negativity. Are you ready to do this?" 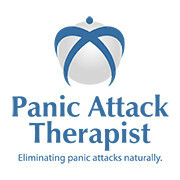 Treatment for panic attacks provided by Vincent Benedict www.panicattacktherapist.com ***Disclaimer: Please note that, as with all therapies, results may vary from client to client.